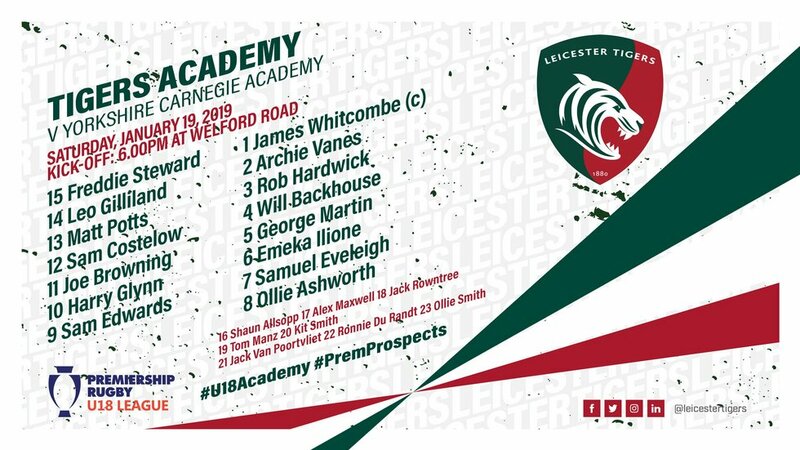 The Tigers Academy have made six changes to the starting side for their U18 League game against Yorkshire Carnegie this Saturday at Welford Road from the team that defeated Sale last Saturday to continue the unbeaten run in the 2018/19 campaign. England U18s prop James Whitcombe takes over the captaincy duties from fullback Freddie Steward in the third rotation of the leadership role for the season and will partner Archie Vanes and Rob Hardwick in the Tigers front-row. 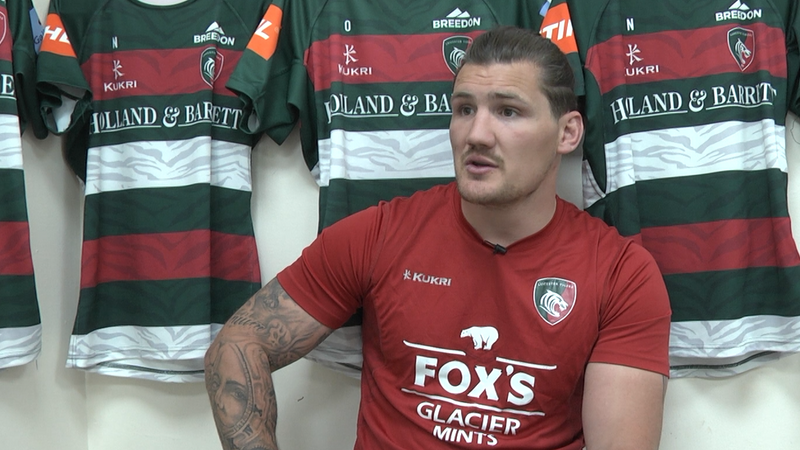 In the only other change to the Leicester pack, Will Backhouse joins George Martin in the second row with Tom Manz named among the replacements. Sam Edwards and Harry Glynn form a new-look partnership at half-back, with Wales U18s representative Sam Costelow shifting from the No.10 shirt to inside centre to line up alongside Matt Potts in the Tigers midfield. Joe Browning, Leo Gilliland and Steward once again form the Tigers back-three for a fifth straight match in this season’s U18 Northern Conference. Scotland U18s front-rower Alex Maxwell returns to the matchday squad after being named among the replacements. For the academy fixture, all supporters will be accommodated in the Holland & Barrett Stand and the Final Whistle bar will remain open between the two games. For any supporters attending only the under-18s fixture, admission is free via Final Whistle after full-time in the Champions Cup fixture between Tigers and Ulster.